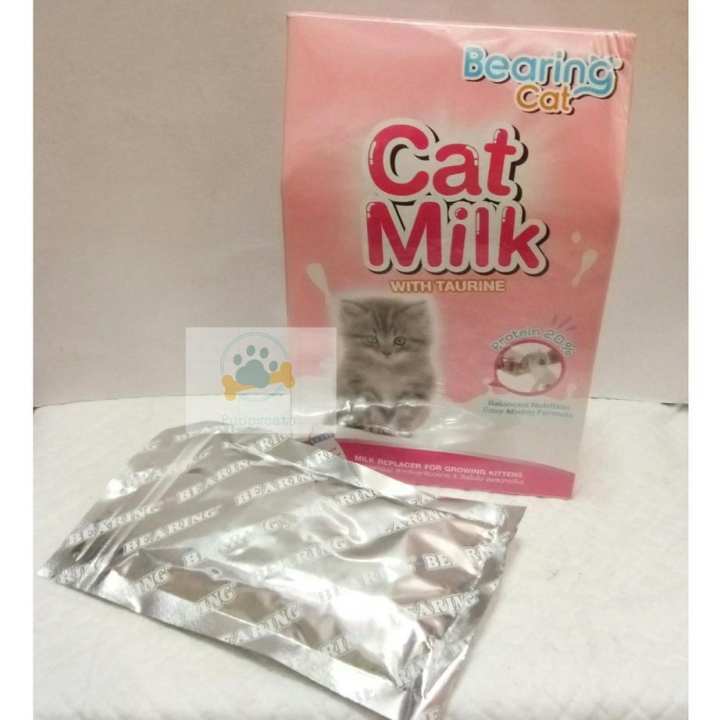 - Immunitazion and protein helps for growing kittens.- Balanced nutrition- Easy Mixing Formula- Delivers best nutrition kitten need during growth and development especially for those whose mom is not capable of nursing its kittens. Directions: Mix 1 part of bearing cat milk to 5 parts of warm water Within the first 4 weeks, kitten should be fed 4- times a day Dosage should be 15-20 mL per 100g of kitten’s weight and can be adjusted to meet the kitten’s milk requirement Caution: Dissolved milk should be used within 1 hour. Opened pouch should be used within 1 week.